I’m in the very early stages of researching for my book on teaching Lorca. (Any thoughts on this are always welcome, by the way.) I’m just having a look at a version of The Butterfly’s Evil Spell which we performed as a Script in Hand Performance back in… I can’t really remember, the script is dated 2000, so around then. 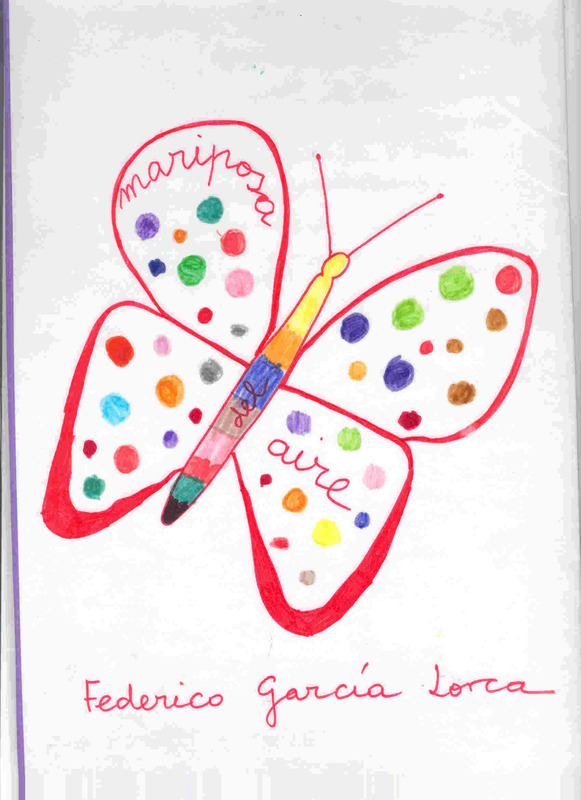 The play is a real challenge to perform, mainly because the Butterfly in the title is a real butterfly, not just a symbol. 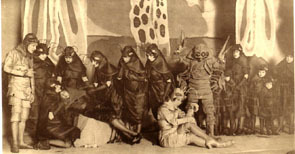 The characters of the play are cockroaches. How do you play a cockroach? How do you stage a play where the characters are insects, without it becoming pretty much like a cartoon? In the end, the challenge is the same as with any play: as actors, you look at the characters and make decisions based on what they say, what they do and what you decide they think. The movement needs a little bit more consideration, but hints of “insectness” is what we’re looking for. A commonality for all cockroaches, for example, and then individuality for each character. As directors, we’ll look at the play and decide what it needs. Considering that the whole play has a fairy tale quality to it and that the piece is really reflecting human nature; and given how contemporary audiences are willing to suspend disbelief when watching this kind of theatre, it wouldn’t make much sense to try to make everyone look like the insect they’re playing (although that’s precisely what Lorca tried to do during the performance of this play, as you can observe in this image). So we’ll need to decide how much do we want the audience to work their imagination and how we’re going to help them to immerse themselves in our very special world. If you don’t know the play and like Lorca, do have a read. I will release my own translation in a couple of weeks but meanwhile, here are a few lines, from the first act. Of the cause of your pain. And where is your love? Far away? The wind brings me his breath. A young lad from this town! You hide it well! And does he love you? That’s strange, you are rich! The princess he awaits for will never come. and his dreamy poet eyes. As yellow are the tips of his divine antennae. The stupidity of my strange creature. I’ll make him love her by force. Questions on Teaching Physical Theatre? i hadn’t heard about this Lorca play! i’m including it on my reading list – thanks! Thanks María, it’s a beautiful piece, very Lorca. Hopefully I’ll get the translation out soon!